For anyone, moving would be a big deal. 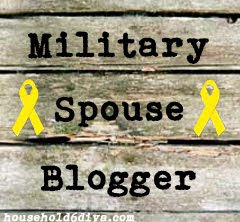 For those of us married to the military, those moves sometimes come far too often. But no matter how many times we do it, the process never seems to get easier. There are endless lists and stressors in the weeks leading up to the move. Where are we going, what do we need to take, what should I get rid of? (If you're also prepping for an unaccompanied baggage shipment, check out my tips for that here). 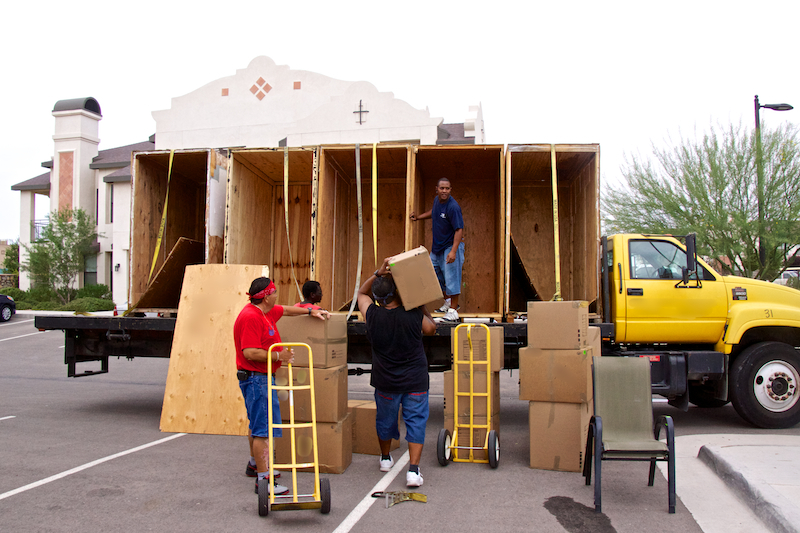 Luckily, we have the option of using contracted movers the military provides. Some people choose to pack themselves, but I always opt for the movers. Why, you wonder? The answer is simple: Because if they do it, then I don't have to. 1. Ask Questions - This begins from your first meeting with transportation. Ask questions every step of the way. Not all moving companies are created equally, and military rules change often. Policies will vary with every move. What are your weight limits? What are your restricted items? What paperwork is required? Ask, ask, and ask some more. Better to know now than be surprised later, am I right? 2. Empty Your Cabinets and Fridge - I start this task from the minute we have orders. It could take weeks, maybe even months, for me to get rid of everything in my fridge. All my meals in the week prior to the move are based on what is left in my pantry. Most of these items cannot be taken with you, so use them now. Save the money you would normally spend on groceries for the other side of your move. That first grocery bill in a new place is always a hefty one! Whatever I can't use before we leave, I usually give to my movers or my neighbors. 3. Photograph Your Belongings - This takes so much longer than you expect to. Document it all, my friends. Take pictures of everything, prior damages included. When photographing your electronics, make sure you take a picture with the item on and working (with the date on the photo somewhere). Write down any applicable serial numbers as well. Store these images on an external hard drive, or a computer you are hand carrying with you. Don't let the movers pack your documentation! 4. Clean Out Your Closets - It's never too early to start this process. Use your move as an opportunity to get rid of things you no longer use. Sort through closets, donate old clothing to charity. Sell items if possible. For our last move, I sold about $500 worth of items we no longer needed. This is great seed money for your move. 5. Make Arrangements for Children & Pets - Though it's possible to have your kids and pets around on moving day, why do it if you don't have to? The process is long and especially boring, even upsetting. Make arrangements in advance for your child to spend the day at a friend's house. Put your dog in puppy daycare or kennel them. This is one less thing you'll have to worry about on moving day. The less distractions on that day, the better. You need all your brain power to keep track of your movers. 6. Sleeping Arrangements - Where are you sleeping after your movers take your beds? Will you camp with an air mattress, stay in a hotel, crash with friends? Plan in advance to relive the stress of last minute preparations. 7. Schedule Move Out Inspections - Once you have a date for your movers, schedule your move out inspections. If you wait until the last minute, your landlord may not be free when you'd like them to be. This could cause delays and extra costs. Be prepared! 8. Remove Wall Decorations - Start taking down your wall decorations. Many moving companies say you don't have to do this, but I always do. I like all my pictures to be packed together. Plus, when the moving inspector comes it is easy for him to see how many special boxes I will need for these items. Stack all these decorations together in one place, out of the way. Take down your curtains, wash them, then pack in ziploc bags. Put their hardware with them (labeled) so you'll be ready to hang them at your new location. I even take down our shower curtains and leave only a basic plastic liner hanging until moving day (you can get these at the dollar store!). 9. Sentimental Items - I always place my special, sentimental items to the side for my movers. They may be easily breakable or not. But when the movers arrive, I show them my stash and explain these things are very important to me. I ask that they be packed especially carefully. How does your packer know what is important to you unless you tell him? I've yet to lose or have a single item broken yet from my sentimental stuff. If possible, I take these items with me in our vehicle. But we can't always do that, especially with an OCONUS move. Communication is key. 10. Separate Your Pro Gear - Your professional gear doesn't count against your household weight, so be sure to separate this out. We try to group ours in the basement, and I place a sign on it for the packers that simply says 'Professional Gear'. 11. Be Honest - When the moving inspector arrives, be honest! He is there to preview your home, determine how many packers and boxes you will need. He is advance planning for your moving day. Show him all your spaces including garages, storage, attic, basement, stuff you have under the bed even! I'm super organized, so we always have more than meets the eye. The moving inspector needs to know those things. So tell him. Some of these spaces may need to be emptied by you prior to the packers arrival. I know we've had to bring all items down from our attic in the past, so don't be surprised if this happens to you. Remember, ask questions! 12. Clean Your House - This may be obvious to some, but I've heard horror stories from our movers. Clean up your mess, peeps!! First of all, it's really gross to expect your movers to pack dirty crap. Second of all, aren't you embarrassed by that?! Lastly, you don't want to pack dirty, nasty things. Trust me, it's not going to look any prettier on the other side. In fact, it will be worse. One dirty item can contaminate a whole box. It's gross. So don't do it. Clean your space, for reals. Or you'll be the horror story the movers are talking about for years to come. Plus, if your home is clean and well taken care of, then your packers are more likely to take good care of your stuff. After all, if you don't care, why should they? 13. Call Your Insurance Company - The Hubs and I have an insurance policy that covers our items, even if they are in transit. Call and double check your coverage. You don't have to change your policy, or anything drastic. But be aware and make informed decisions. Keep your insurance company up-to-date with your move as well. Often, changing locations will change your rates. This can be for the better or for the worse, but it's got to be done. 14. Personal Items - If you've got any, ahem… personal items you don't want the movers to see, I suggest you pack them yourself before they come, and seal that box up tight! It's a quirk, but I always pack my own underwear and lingerie. I don't want strangers in there, ya know? Keep in mind though, that items packed by you may not be covered if anything happens to the contents. 15. Pack Your Suitcases - Start packing what will go with you on the move. Don't wait until the last minute! If these items are already set aside you'll feel better, I promise. Don't forget to include all your important paperwork (like your Everything Book), plus whatever electronic device you're storing photos on (documentation for your move!). 16. "Don't Pack It" Room - Everybody needs one of these, trust me. If it's not locked and separated, your movers are gonna pack it! If possible, clean out a closet or small room that can hold everything you don't want packed. Lock the door if you can. Put a sign on the door that says "Nothing in here gets packed!". Special Tip: Make sure your purse is in that room too. I know at least one person who had their purse packed because it wasn't where it should be. Instead of a room, you can use your car for this as well. Just remember to lock up, and keep those car keys in your pocket! If they're on a counter, guess what will happen? They'll be packed. 17. Empty All Appliances and Your Trash - If you don't empty your trashcan before the movers arrive, guess what will happen? It will be packed! Gross, right? So don't do it. Also remember to empty your dishwasher, washing machine, and oven. Do you keep those extra cookie sheets in the oven? Take 'em out, peeps! Really great movers will check here, but not all movers are created equal. You just never know what they will/will not do, so be prepared. 18. Don't Leave Valuables Lying Around - I've never had a problem with any of our movers taking things, but you just never know. If you have expensive jewelry or cash lying around, put it away! Carry these items with you or lock them in a safe. 19. Small, Loose Items - This is mostly in reference to desk drawers, or crafter rooms. All the those paperclips that are so organized in your desk organizer? Yep, that's all just going to get dumped in a box. You know how your craft room is so neat, with everything in it's own little container? That's all getting dumped in a box too. If you don't want these items scattered three sheets to the wind, then I suggest taping lids on things, or separating small items into ziploc bags. If you don't, fully expect to have a box of jumbled junk. 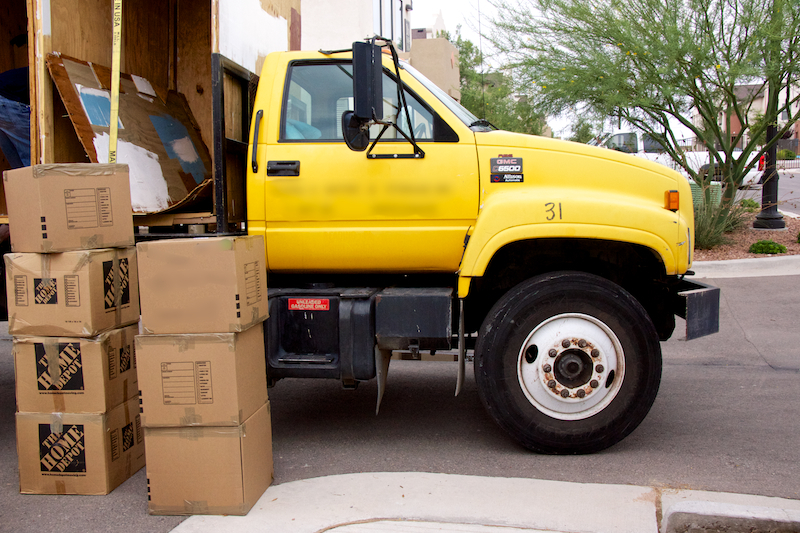 It's not your mover's job to keep your items organized, it's their job to pack it. Do some prep work, and you won't be disappointed. 20. Meal Plan - I pretty much plan to eat takeout for my last few days at a duty station. But that still means I need plastic forks and knives, paper plates, maybe some tupperware and plastic cups. Keep snacks around that won't go bad, like granola bars. Whatever you don't finish, take with you in the car. Nobody wants to be 'hangry' (hungry and angry) during moving day. 21. Feed Your Movers - I know a lot of people may not agree with me, but I always provide food and drinks for my movers. People who appreciate you take better care of your stuff. They work hard, ya know? It's a simple kindness to provide sustenance. I'm going to eat anyway, so why not share? You aren't required to do this, and it's completely your choice either way, this is just my opinion. If you decide to provide food and drink, I have a handy list of suggestions at the bottom of this page. After all, if everyone bought pizza for you every, single day, you might appreciate it but wouldn't you get sick of it? Try some variety. 22. Be Watchful - Be with your movers while they are packing. Stay out of their way (these guys have a system, so don't mess it up), but don't be afraid to ask questions. And be prepared to answer questions if your packers have any themselves. One thing I always make sure to ask is, "Where is all my hardware going, and is it labeled?" If I haven't done this myself prior to packing day, I want to know where my hardware is. For example, the movers take apart your TV stand… where are the screws? Are they labeled? Will I know how to find them on the other end of my move? If I don't ask, these things wind up in very strange places. Be aware of what is happening with your belongings. 23. Stay Out of the Way - If possible, don't interrupt the flow of your packers and movers. Interrupting them too often will only cause delays in your packing. These guys (or ladies) are an efficient team. This is their job. They do it everyday. This means they know what they are doing. Sure, be aware. Yes, speak up if you need to. But be polite and respectful. 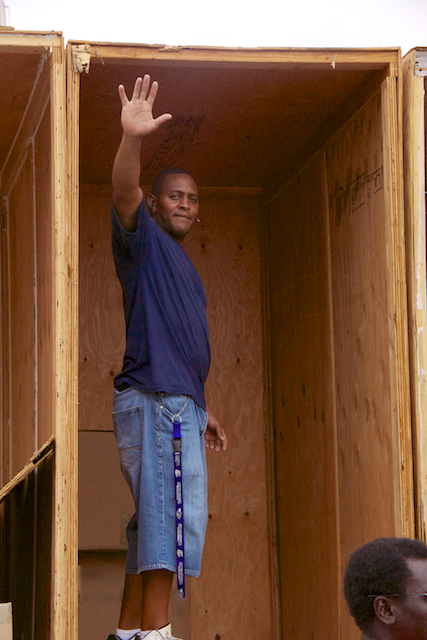 I can't stress this enough… movers are people too, so treat them the way you would expect to be treated. 24. Keep A List - During packing day, I take notes when I can. I know you're wondering what I'm writing down, huh? Maybe it seems like too much effort for some, but I keep track of a few box numbers. Like, which box are my sheets and towels in? I write that down. Or my dishes? I write that down too. By the end of a move, there are so many dang boxes. If I know a few key box numbers in advance, I can set those aside as they come off the ruck on the other end of my move. Then I unpack those boxes first, and we have our basic necessities right away. Now you think I'm smart, dontcha? I also keep note of where all my hardware is. Trust me, after a while you forget these things. It's nice to have a list that say "The bed frame screws are in Box X". 25. Inspect Your Paperwork - At the end of moving day, you are expected to sign an inventory. Be vigilant! I find it best to review each sheet as it is completed throughout the day, rather than trying to sort it all at once. Each box should have a detailed description. Damages should be noted. If you dispute any pre-move assessment of your things, speak up. But do so politely, seriously. Being a pain-in-the-you-know-what won't get you anywhere. Make sure the serial numbers for electronics, etc. are included on the inventory sheet. 26. SMILE and SAY THANK YOU - This costs you absolutely nothing, and can definitely go a long way. Please don't treat your movers disrespectfully. I've never had an issue with any of our movers, and our stuff always arrives in great condition. We've had a few small items broken (like a glass here and there), but never anything major. Remember the golden rule, peeps!!! Treat others as you expect to be treated. I think you'll be pleased with the results. This is honestly the best tip I can give you. All that's left after our movers finish! 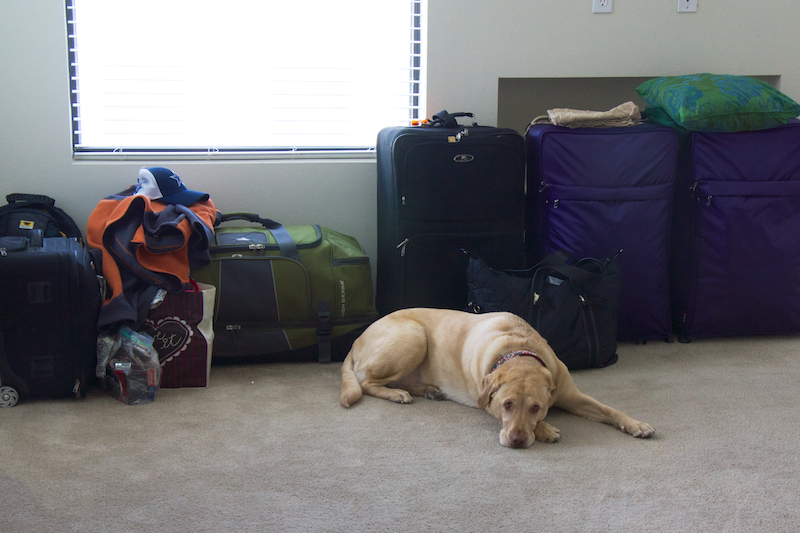 So, those are my top 26 tips for preparing for your movers! I also want to pass along some sage words of wisdom. Your stuff is just that… stuff. When all is said and done, don't stress about this too much. If an item is super important to you, take it with you. If that's not possible (like on an OCONUS move) leave the item with someone you trust, or ask your movers to be extra careful with that piece. Because I think y'all are awesome people, I'm also going to include some suggestions for moving day lunches (and breakfast too, in case it's an early move day). Remember, you aren't required to feed your movers, but it's a nice gesture. AND, there is also a list of commonly prohibited items for you as well. I want you to be as prepared as you can be! Portable Snacks - think granola bars, apples, bananas, crackers, cheese sticks, chips, muffins, donuts. Anything grab and go is a great snack. Movers often don't like to stop when they have a rhythm, so these are great. Sandwiches & Salad - We've taken orders and picked up Subway for our packers, but we've also purchased ingredients so everyone can make their own. Lunchmeat, cheese, bread, and a few condiments are great. Plus, this is a good way to use up those open jars of mayonnaise and mustard that are hanging out in your fridge. If you're on a budget, go with PB&J, that's always a crowd pleaser. We sometimes lay out salad fixings as well, another great way to get rid of leftover dressing in the fridge. You don't need to be fancy, just cut up some lettuce, tomatoes, cucumber, and viola!. It's salad. Vegetable/Fruit Tray - I can't explain how much our movers appreciate a tray of fresh fruits and vegetables. For the people who actually offer lunch, they often choose quick, fast food options. I buy a pre-made veggie tray for every move, and it's always the first thing to go. Your commissary is a great resource for these. We try to keep some apples, bananas, and grapes available too. Whatever the movers don't eat, we take on our car ride or to the hotel. Beverages - We always, always have plenty of bottled water and Gatorade on hand for our movers. It's hot, sweaty work they are doing, so I want my guys to be hydrated. If it's an early morning start, we also keep coffee on hand, even if it's instant. For overseas moves, it's fun to have American soda available (like Dr. Pepper) that aren't as readily available in your location. Takeout - You can always order delivery (or pick up) if you don't want to bother with the items listed above. Common options are pizza, subs, burgers and fries, Chinese, BBQ, and fried chicken (a bucket goes a long way!). It's a good idea to have a menu on hand, so everyone can order off of it. Or I pull the menu up online from my laptop. That's all for now, my friends! If for some reason your move goes horribly wrong, I am sorry. Check out this FB page for the Military Movers Wall of Shame. It might help you find missing boxes, or provide an outlet for your frustration. If you've got tips to add to this list, please add them to the comments! I'll be back soon with more tips and tricks to help you on your way. Have you PCSed recently? I might have a move coming up soon and I'm not thrilled about it... Thanks for the tips! I'm a soon-to-be wife and we do plan to move overseas. Your blog is extremely helpful-- I've been looking into plenty of blogs, too. When you wrote 'Liquids' does that include items such as shampoo, hair gels, body wash? I have put a ton of money into my hair products, I'd hate to just toss them. Very useful tips, I would never think of planning the meal plan during the move so well! Thank you so much for sharing, I'll bookmark these to use them for my upcoming PCS. Make sure that all packing boxes for moving can close and seal properly on top. Never pack a box that can't close or that has items sticking out of the top.